L' attenzione ai dettagli di produzione determina la qualità dei nostri prodotti. Per questo motivo abbiamo scelto e certificato attentamente i nostri partner di produzione e collaboriamo a lungo termine. I nostri partner si distinguono per la loro lunga tradizione di lavorazione di qualità, leader nel settore. 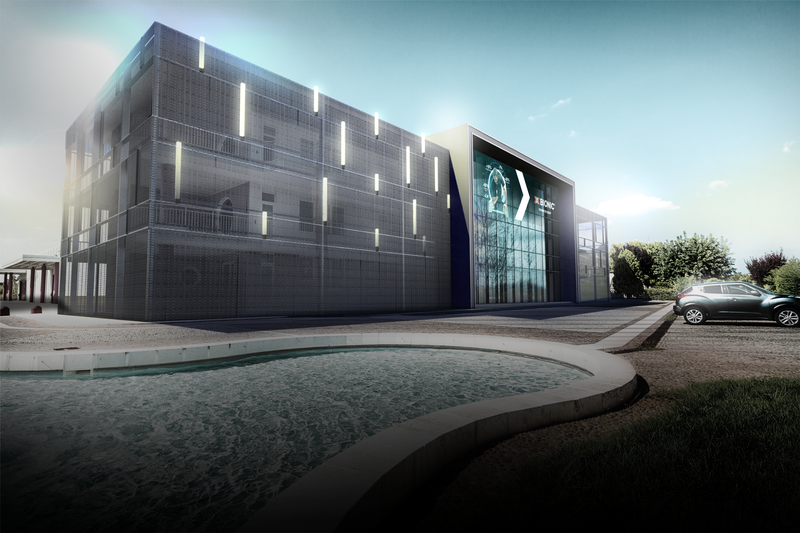 The new X-BIONIC Future Factory in Northern Italy will start producing X-BIONIC in May 2018. It enables the Swiss innovation experts to produce the 3 dimensional X-BIONIC technologies in an unprecedented quality and precision. Thanks to an investment in the millions the X-BIONIC Future Factory starts producing the products featuring the X-BIONIC Retina® Technology, which will reach the market in 2019. Thus X-BIONIC products will be available in the future in an unprecedented quality and performance, which equals to the technological quantum leap from the first smartphone display to the Ultra High definition resolution. The fully vertical manufacturing chain allows all production steps to be made under one roof: Sewing, dyeing, washing and packaging. This guarantees efficiency and sustainability in the production by few and short transportation distances and ensuring quality throughout the whole supply chain. The future source of the X-BIONIC cult brand raises the production capacity threefold. By this X-BIONIC prepares to satisfy the globally growing demand and underlines its leadership in manufacturing quality and advanced functional wear. "Thanks to new production capacities, X-BIONIC® can satisfy the increasing demand from almost 40 markets and will remain one of the most innovative brands in the sports sector in the future"